ST. JOHN’S, N.L. — Newfoundland and Labrador is a major step closer to developing its deepest offshore oil site at Bay du Nord, with the potential of billions in revenues and hundreds of jobs. 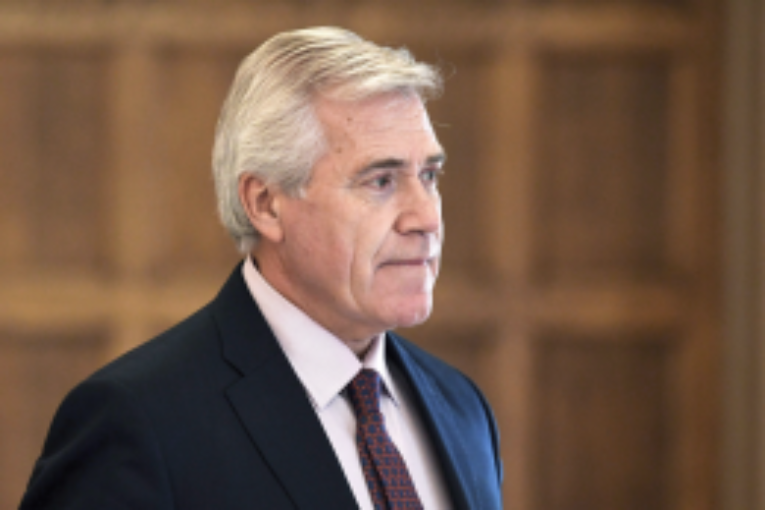 Premier Dwight Ball announced an agreement on Thursday with Equinor Canada, for a project expected to deliver its first oil by 2025, with an estimated operating cost of $10.9 billion. Ball called it a “new frontier” in the province’s oil and gas industry. The province has taken a 10 per cent equity stake in the project, which will cost $6.8 billion to get off the ground. The Flemish Pass project would mark the province’s first oil venture beyond the Jeanne D’Arc Basin. The project would provide $3.5 billion in badly needed revenue to a government that was once flush with oil riches but has been cash-strapped since oil prices dropped in 2014. But the development doesn’t have the green light just yet. Equinor Canada, formerly known as Statoil, filed an environmental assessment last month, and the Norwegian-based company has set a target of 2020 to officially sanction the project. The project would be province’s first foray into deepwater oil production — it’s nearly 10 times deeper than Sea Rose, the province’s current deepest offshore oil site in the White Rose oil and gas field. The remote Bay du Nord parcel in the Flemish Pass about 500 kilometres east of St. John’s lies in more than 1,100 metres of water. It was billed as the largest global find in 2013 with an estimated 300 million barrels of recoverable crude. Because of its equity stake, the province currently owes $89.4 million to Equinor and Husky Energy for costs paid up to December 2017. The province was already under scrutiny for overspending on megaprojects. A public inquiry has been appointed to study how spending on the Muskrat Falls hydro project has doubled to $12.7 billion from the original $6.2 billion estimate. But Ball said he’s confident that eventual revenues on the Bay du Nord project will outweigh the early investments. “We’ve thought about this, we’ve done all the analysis on this, and this would bring significant returns for the people of our province,” said Ball. The government estimated the creation of 500 jobs over the 12-year period when the project is operational. Ball was joined at the announcement by Natural Resources Minister Siobhan Coady and Unni Fjaer, vice-president of Equinor’s offshore Newfoundland projects. Fjaer said Equinor has carried out projects of similar scale and ocean depth in Norway that can be used as reference points for safety protocols and development of the Bay du Nord project. Fjaer declined to name a cut-off oil price that would make Equinor back out of the project before its 2020 deadline. The project’s speedy timeline fits into the province’s 12-year plan to speed and increase offshore oil and gas development, with a goal to double overall production to more than 650,000 barrels a day by 2030. When asked to reconcile the additional greenhouse gas emissions from this project with his previous commitment to reduce them, Ball said the province produces fewer carbon units per barrel of oil than the global average. He said an informed decision on carbon pricing is yet to come. Coady expressed hope that further development of the project would attract further investment in other unexplored deepwater basins. “Our government is committed to advancing exploration and development opportunities,” said Coady. ‘We’re down to three issues: Chapter 19, the cultural issues and dairy,’ says U.S.